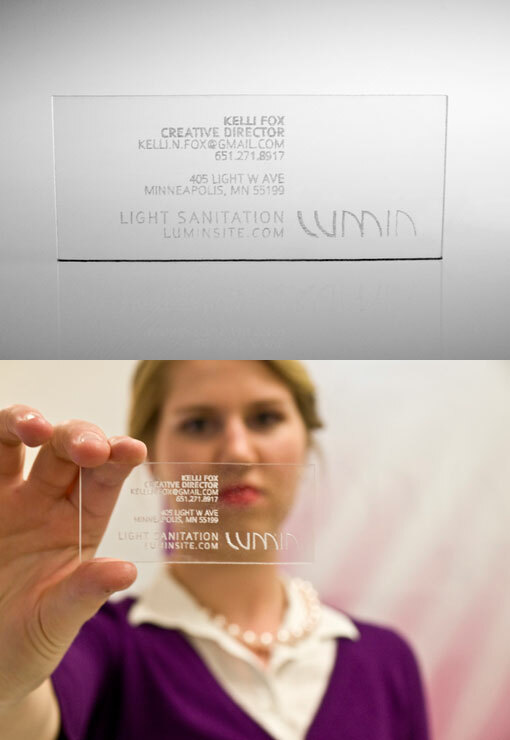 This plexiglass laser engraved business card was designed for my Graphic Design Senior project for a company called Lumin. The card's minimalist and clean streamlined design aesthetic enhances the company's brand. Lumin's focus is on emerging technology products capable of harmless light sanitation simply by turning on the light. The card promotes user interaction and a smart technology that is as unique as the card itself.